As the Heisei era of Japan comes to end, we ask our audience who their favorite Heisei Kamen Rider is. Beginning with Kamen Rider Kuuga, the Heisei Kamen Rider series started after the death of legendary producer Shotaro Ishinomori. Many Riders quickly became fan-favorites, beloved for their unique designs and character story. The last Heisei Kamen Rider season will be Kamen Rider Zi-O with the new era of Kamen Rider to take place afterwards, with a name to be announced once Japan’s Emperor Akihito abdicates his throne in April. Vote in the poll below and we will share the results on social media. This poll has ended (since 17 days). 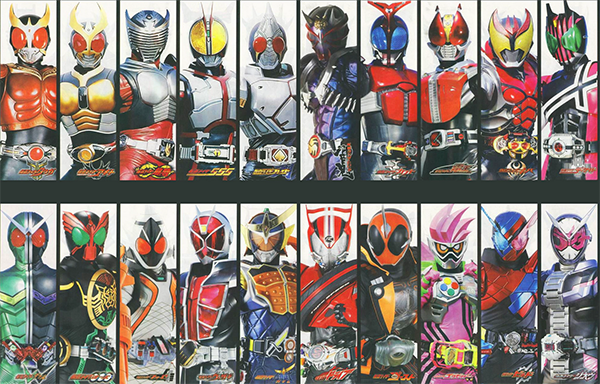 Who is your favorite Heisei-era Kamen Rider?